Even as the technology of today’s modern world continues to develop, resolving critical issues in all aspects of society, the safety of our roads remains an ever-present and urgent concern. Cloud-based technology, and the level of connectivity between systems it allows, is vital in making the road a safer place. Cloud-based technology is constantly evolving, improving and becoming ever more useful and commonplace in a multitude of industries. It enables access to information, systems and resources with minimal effort on the user’s part, but maximum info on output and information. Many of Coeval’s systems today offer cloud technology, allowing for multiple operating functions when it comes to managing Vehicle Activated Signs (VAS), Speeding Drivers, Schools signs and multi-junction traffic control systems. Cloud technology offers flexibility; in day-to-day operation, sign operators can warn of sporadic hazards. 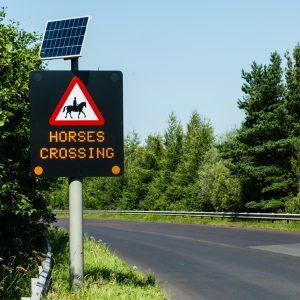 One example would be a farmer who needs to herd their cattle over a road. With a cloud-operated sign in place, the farmer can active a warning with a hand-held transmitter to alert oncoming drivers. The flexibility afforded by cloud-based technology is bolstered by its ability to gather and communicate important data. 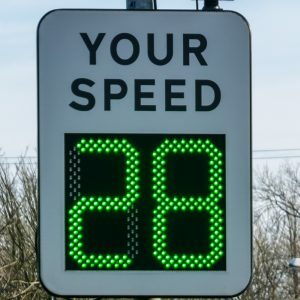 Information such as average speeds can be captured, enabling users to adjust signs based on the statistics. 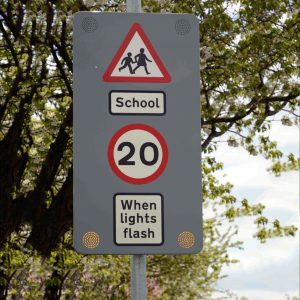 Teachers, for example, can change and manage timings on schools’ signs depending on seasonal activities, helping to prevent road accidents involving schoolchildren. With such technology available, users can manage traffic systems with handheld devices as well as desktop PCs. In other words, they can work remotely or office-based depending on their role and circumstances. Coeval recognises the importance in moving forward with new technology that makes communication and information sharing simpler, but the ultimate objective is to make our roads and highways a safer place to travel and operate in daily. Cloud-based technology enables users flexibility, confidence in multi-tasking and a smarter way of working for the future. Did you know that you can save money by using your existing sign carcas with our new retrofit option to save money on your new signage? If you’re interested in the benefits of Cloud technology, please complete the form below. Our team of experts will be in touch to discuss your needs and advise you on the best solution for your traffic management needs.